LIDAR is a very exciting technology that is only just now starting to become accessible to the DIY market. Think radar, but with lasers. There’s a few different modules starting to pop up for just a few hundred dollars. But what is one to do with a LIDAR module? 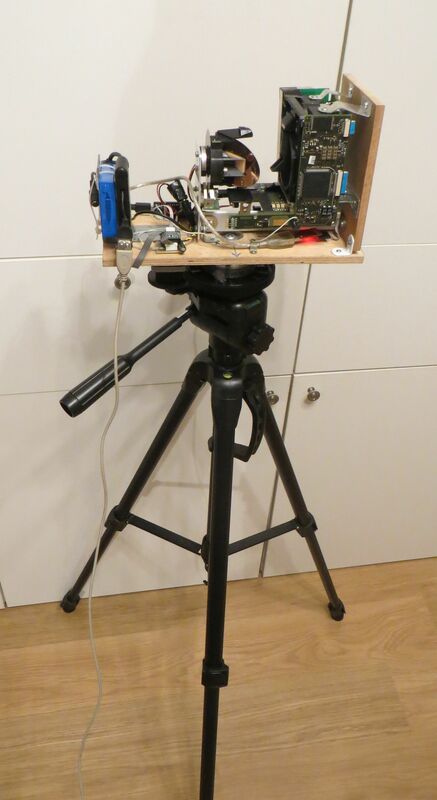 Well, [David] decided to build a room scanner with his Garmin LIDAR Lite, and it’s a wonderful sight to behold. The scanner consists of a rotating platform, which is driven by a stepper motor. The platform then contains a second motor which runs a tilt axis, upon which the LIDAR is mounted. By aiming the LIDAR in various directions, and recording the detected range, it’s possible to build a point cloud representation of the surrounding area. The build uses a couple of STM32 chips to do motor control and interface with the LIDAR, but where this build really shines is the mechanical side of things. [David] goes into serious detail about the machining of the parts that make up the rotating system, and there’s plenty of cool bits and pieces like slip rings to make it all work. There’s even some home casting going on here! Be warned, though: there’s some rather juicy close-ups of lathes in action, so put the kids to bed before watching this one all the way through. We love to see a well-executed build, and even more so when we get to watch the intricate details of how it came together. If you’re still looking for some more inspiration, we’ve seen other LIDAR room scanners before, too.